Hygienic thermoforming machine for flexible or rigid film with modified atmosphere (MAP) and vacuum options. The most economic solution with the same advantages as the rest of the thermoformers. 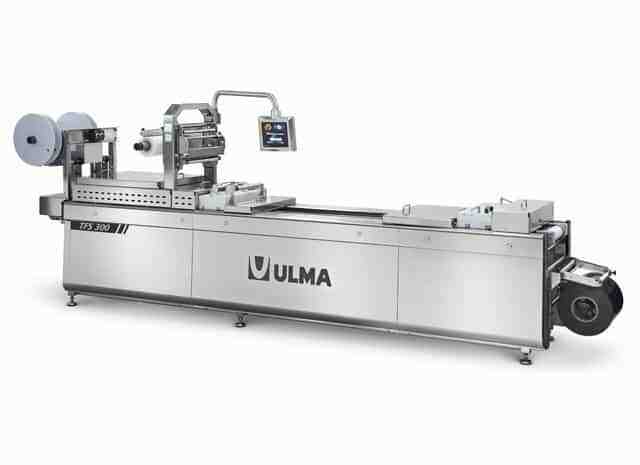 The TFS 300 is a thermoforming machine designed to pack food non-food or medical products. The package is created directly by the machine using two rolls of film. The film may be flexible or rigid. Vacuum with gas flushing is available as an option. The machine characteristics make it highly desirable for mixed production requirements Since formats can be easily changed to meet the needs of the customer. It’s versatility, easy operation, and quick size change also makes it suitable as a support machine for short-run products.